The result of age-old know-how, salt harvesting is truly fascinating and there’s nothing better than talking a walk through rugged landscapes to observe it happening. Here’s everything you need to know about it and the bucolic landscapes where it takes place. From the Middle Ages until the end of the 19th century, salt farming was the region’s economic lifeblood. But after the Charente-Maritime salt marshes dried up, the industry gradually declined. The islanders were forced to turn to coastal livelihoods and oyster farming. However, recent years have seen salt farming rise from the ashes, and the island now counts around thirty salt merchants committed to preserving the marshes. In order to share this passion as widely possible, producers welcome visitors to theSalt Merchants’ Cabin in Ars-en-Ré. Here, a wide variety of products made from the harvest are sold (including coarse salt, fleur de sel and salt pebbles), as well as other specialities from the island, like samphire and wild mustard. Step through the door of this cooperative and be intoxicated by its hundreds of island delicacies. Here, they take pleasure in explaining in detail each product’s characteristics and how it’s made. Once you’ve made your purchases, feel free to keep exploring the salt marshes. To watch the salt merchants at work in Charente-Maritime’s salt marshes, get on your bike – it’s well worth the detour. Small, immaculate mounds of salt stand proudly around the salt pans, surrounded by vegetation. But to understand how salt farming works and its history, you have to meet the producers. 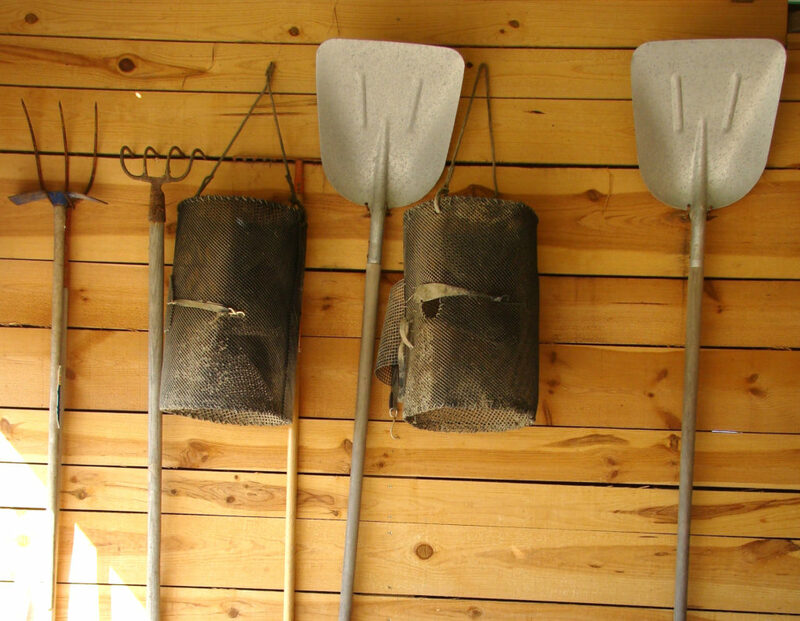 Located on the Île de Loix peninsula on Île de Ré, the Salt Marshes Ecomuseum aims to inform visitors about this traditional industry by introducing them to the know-how and tools used by salt farmers. You’ll travel back in time, too, to the heart of the history of the Île-de-Ré salt marshes, and then, accompanied by a guide, you’ll learn to identify the plants typically found in the marshes, like samphire, pepper and mustard. At the same time, you’ll observe the techniques used by salt farmers and watch them harvest their top product, fleur de sel. At the end of your visit, you’ll be able to buy some (plus other classic products) and take away a tasty souvenir of your rural getaway. Fascinated by salt farming? Continue exploring the salt marshes onÎle d’Oléron, another salt farming centre. Thanks to the five exhibition huts, you can discover the history of the Oléron marshes and how they work, as well as the different stages involved in salt farming. The best bit is visiting the marshes by boat! Don’t miss the food-tasting tour of Port des Salines, where regional specialities take centre stage. From samphire to seafood and salted caramel, you won’t know where to begin. An hour to the south, and another Charente-Maritime salt marsh attracts the curious: continue the adventure in Mornac-sur-Seudre. Located at the mouth of the Seudre estuary, Mornac-sur-Seudre is one of France’s one hundred most beautiful villages and is a designated “Art & Craft Town”. In addition to its oyster farming, the village also maintains its salt farming traditions. Guided by a salt farmer, you’ll observe the daily work done to harvest this white gold. Once you have learned everything you need to know, have a stroll around the village and soak up the calming atmosphere of its narrow streets adorned with flowering hollyhock. Get lost among the short, colourfully shuttered houses of the Arab quarter (named by passing sailors). Continue your journey along the fairway bordered by multi-coloured oyster huts. You’ll probably work up an appetite when you see the many restaurants serving seafood dishes and other local delicacies. As you’ve learnt, salt farming has survived down the ages and is now enjoying a second youth. 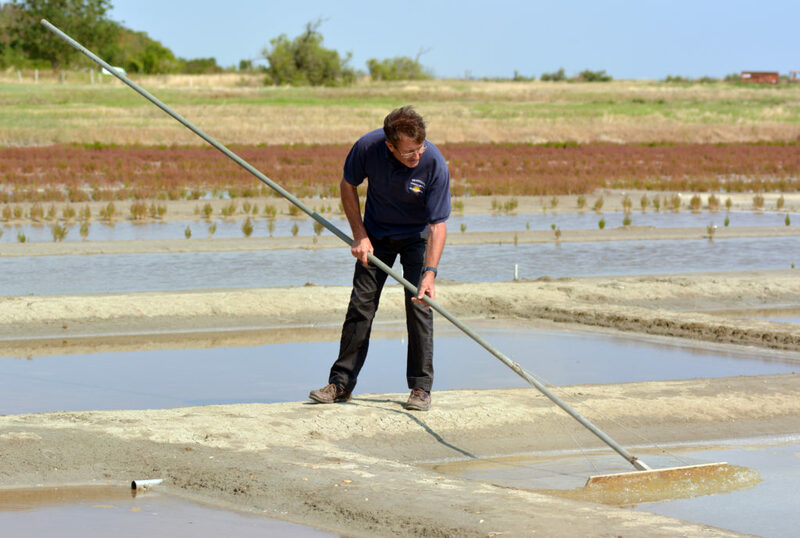 To help the producers continue to farm the salt marshes of Charente-Maritime, go and explore them and learn all about their know-how. A word of advice: don’t leave empty-handed!